The Bella Terra Shopping Center has evolved into one of the biggest dining destinations in North Orange County. Once the rundown Huntington Center where the Burlington Coat Factory was the “hot spot” it is now home to fabulous restaurants including Eureka! We have dined at multiple Eureka! locations, and the Huntington Beach location is one of our favorites. It is also one of the only locations that has its own “mini market” where guests can purchase a bottle of wine to take with their to-go orders. During the summer, the kids and I, stopped for lunch at Eureka! It is just a couple of blocks away from my in-laws house making is a convenient and kid-friendly place for lunch. Eureka! is a place where your family will quickly find your favorites that you’ll order every time that you dine at Eureka!. 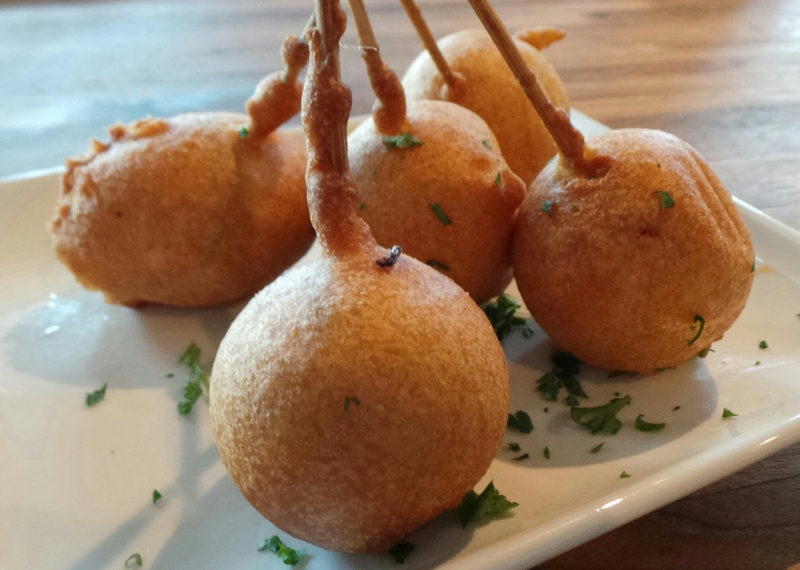 My kids favorite appetizer is their lollipop corn dogs. 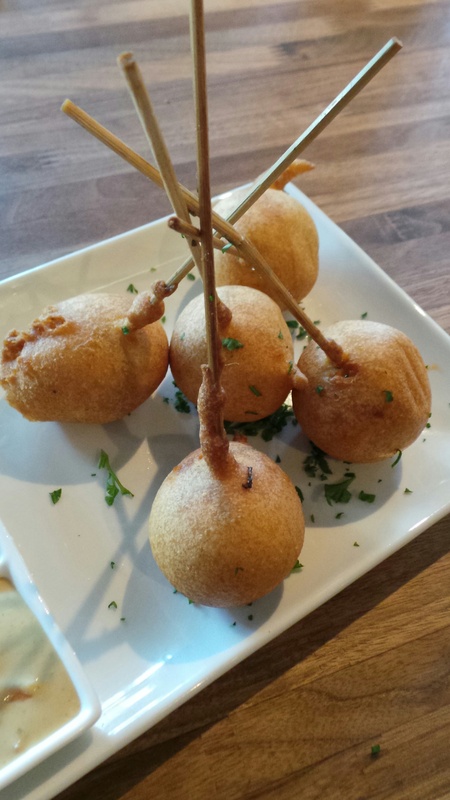 Kids love everything on a stick! 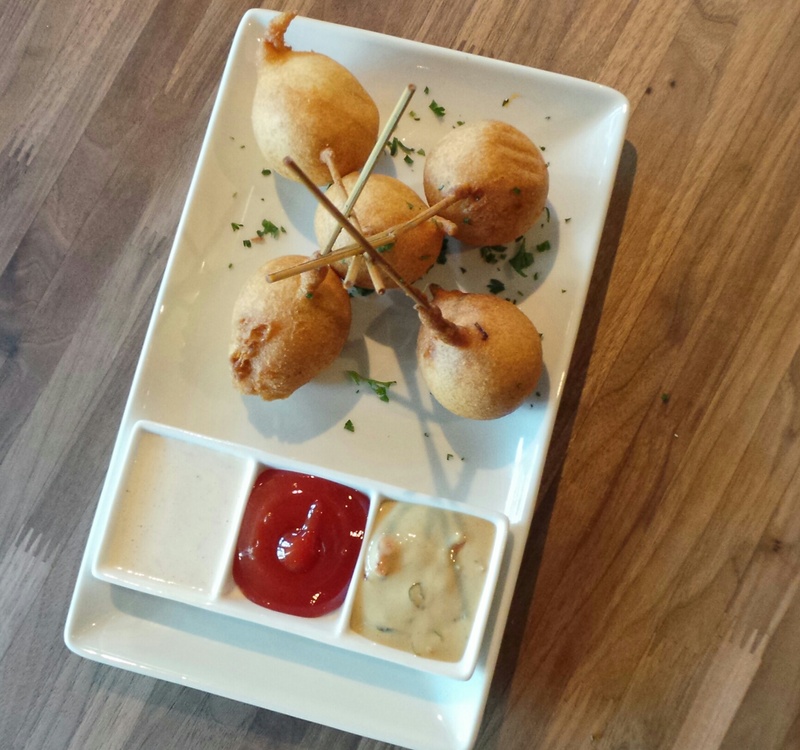 The polish sausage come deep fried in a sweet corn batter and served with spicy porter mustard, homemade ketchup and ranch. While the kids go for the corn dogs, my favorite is the Osso Buco Riblets! 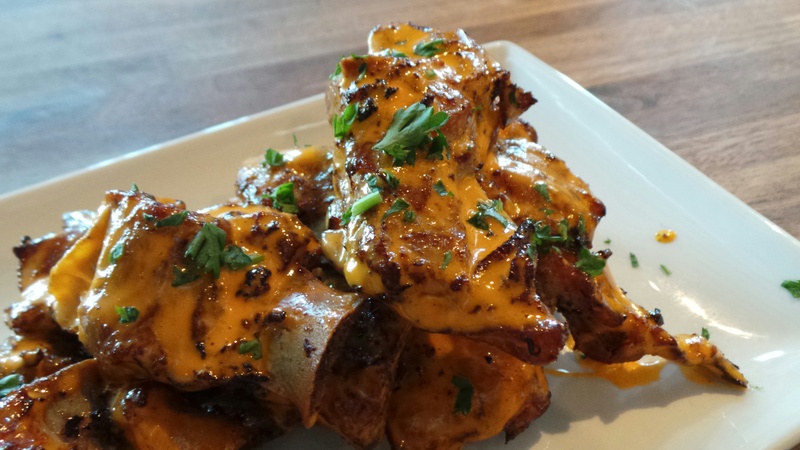 They are heaven on a plate with sherry braised pork and served with a firecracker aioli. 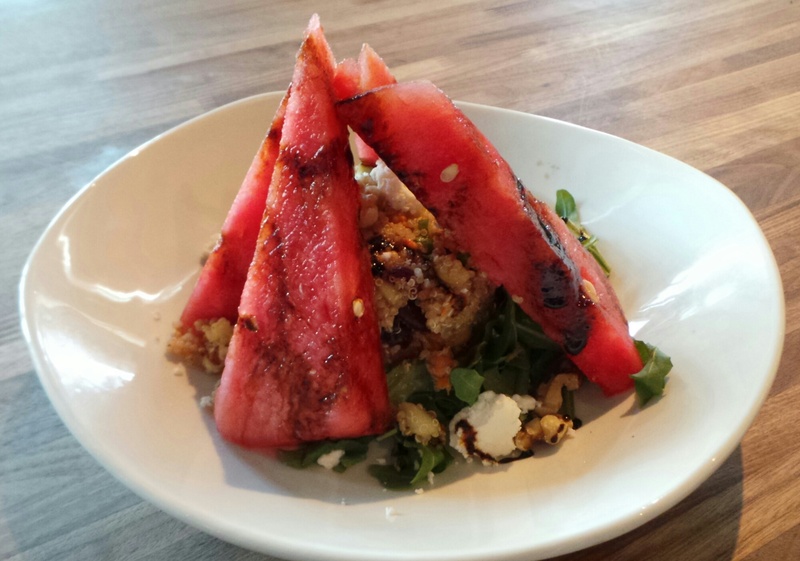 After appetizers, we always indulge in the watermelon salad (especially during the summer). The salad comes with arugula, kale, lemon vinaigrette, quinoa, watermelon, feta, toasted walnuts, and a balsamic glaze. The kids can’t get enough of this fresh summer salad and is packed with lots of healthy ingredients. 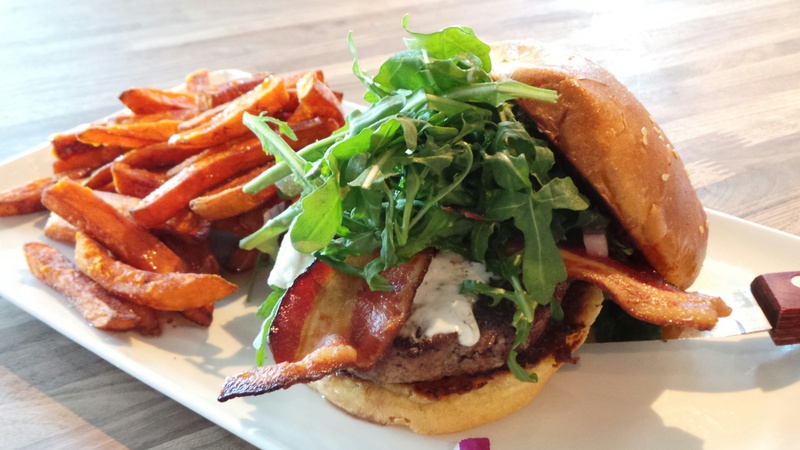 The highlight of the burger selections is the Fresno fig burger. 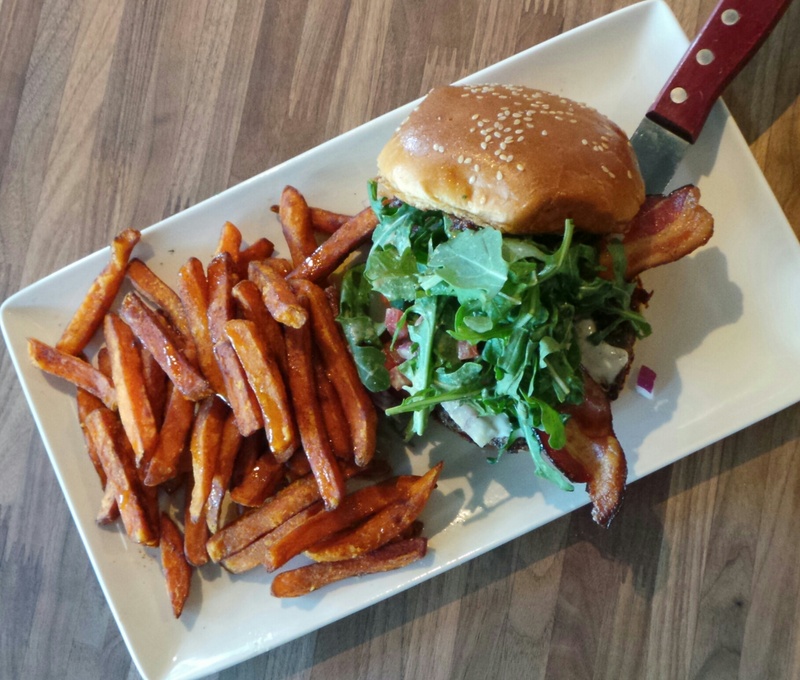 It comes with fig marmalade, melted goat cheese, bacon, tomato, red onion, arugula, spicy porter mustard, inside of toasted bun. It is the perfect marriage of ingredients to create a light and refreshing summer burger. They have a traditional kids meal. 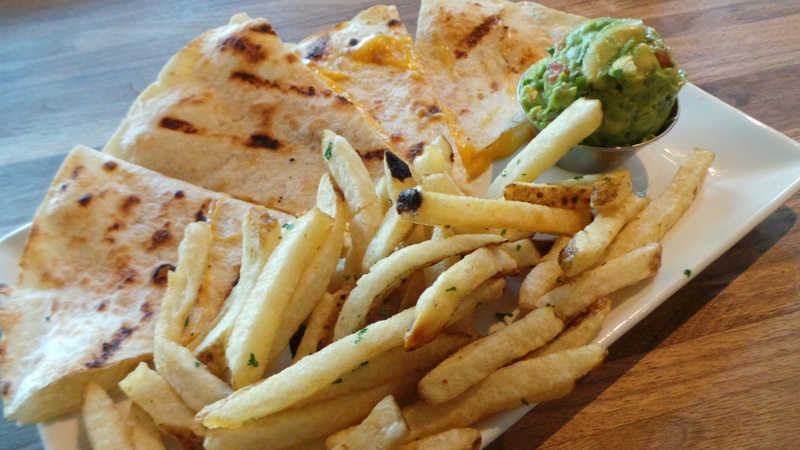 My younger (like always) gets the grilled cheese, and my son orders the quesadilla. While my boys order from the kid’s meal menu, my daughter always shares the Fresno fig burger with me. Don’t leave Eureka! 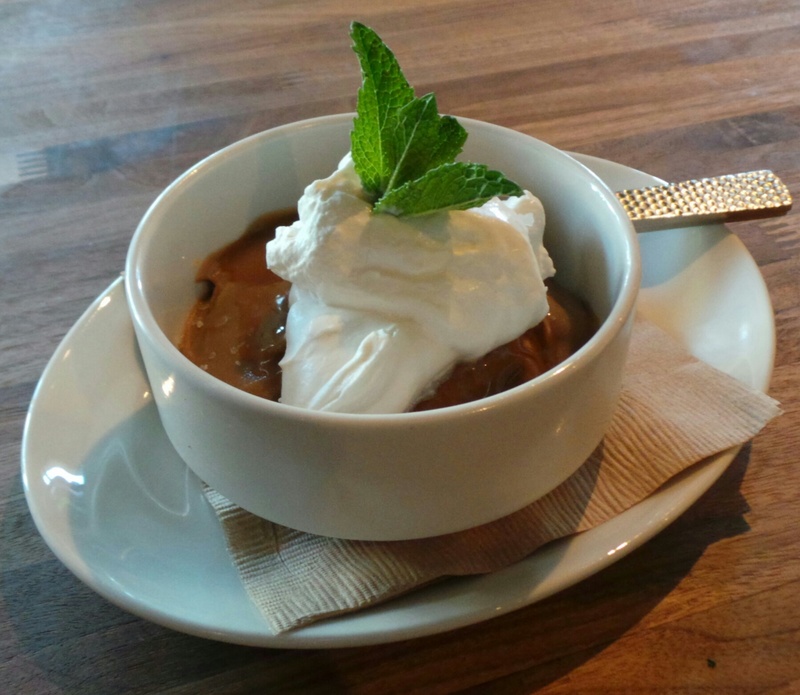 without ending your meal with a bowl of their butterscotch rum pudding. The delectable dessert comes with rum pudding, homemade whipped cream, caramel sauce and sea salt. 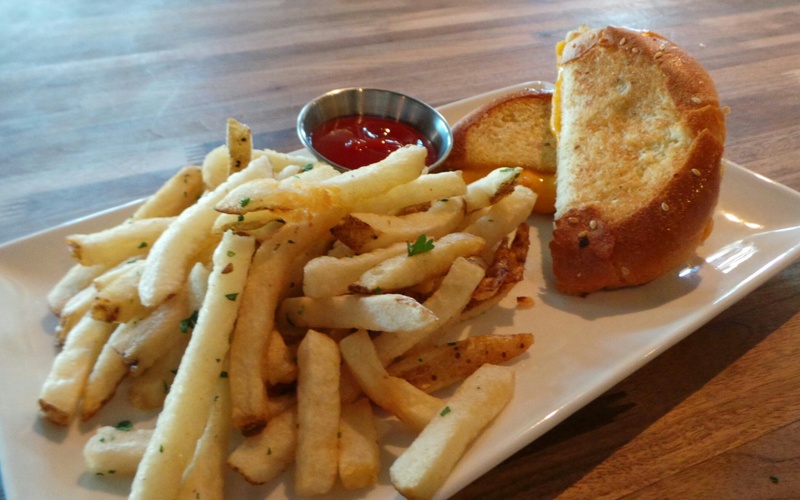 It is the perfect way to end your meal at Eureka! Eureka! is located inside the Bella Terra Shopping Center at 7631 Edinger Avenue #1524 in Huntington Beach.